For AC repair service in Charlotte NC and the surrounding areas home owners can trust Real Cool for all their needs. Whether it is an emergency service call for ac repair in the middle of the night, or a cleaning and tune-up of their air conditioning system, Charlotte home owners know Real Cool’s service department is always there for them. Specializing in ac repair, our technicians will have you cooling off in no time! Real Cool is a fully licensed, bonded and insured Charlotte HVAC company that provides residential and light commercial ac repair service, maintenance and new equipment installations for the Charlotte, North Carolina and surrounding areas. We are committed to keeping our clients in the Charlotte area cool and comfortable when the weather is hot. We service and repair all air conditioning brands and our fully stocked service vans carry a wide variety of service parts to be able to repair your air conditioning system quickly and efficiently. Our service department offers same day service and in most cases our technicians are able to perform the majority of repairs for heating and air in Charlotte, NC that same day. 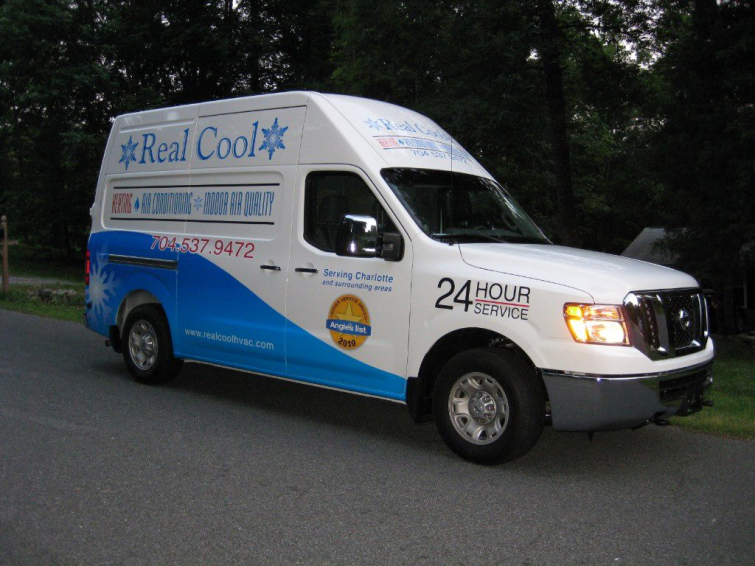 Real Cool offers 24 hour service with upfront ac repair pricing and no overtime rates. Winners of the “Angie’s List Super Service Award” for five straight years and a Better Business Accredited ac repair service company we have earned our customers trust. Our AC repairs have a 1 year warranty on parts and labor. All of our AC repairs have a full 1 year warranty on parts and labor. We stand behind the quality of our service and our parts. We are a Better Business Accredited AC repair company & have an outstanding reputation in the Charlotte area. Click the BBB logo to check us out on the Better Business Bureau website. See why a NATE certified ac repair technician is good for you, to visit the NATE website click on this logo. Ask for one of our factory trained N.A.T.E. certified service technicians when you call for ac repair service today. We are a proud member of ACCA – Air Conditioning Contractors of America. Our goal is to provide you with the highest quality of service possible from all members of our staff. ACCA is one of the best resources for us to receive top quality training for our team to constantly improve the skills needed in the HVAC trade. After Hours, Sat. & Sun.